Finance technology firms are spreading fast all over Latin America. We have already analysed the Fintech revolution in Brazil and this week we are going to take a closer look at Colombia, the fourth biggest economy in the continent, behind only Brazil, Mexico and Argentina. This promises to be a good year generally for Colombia. In June, the country’s government and FARC guerrillas reached an accord on bilateral ceasefire. This is not a final and definitive peace pact but it’s still a historical achievement after more than 50 years of conflict and violence. In the tech scene, some government initiatives, like InnPulsa, aim to rebrand the country as a technology center and help develop innovation. One of the fintech firms supported by InnPulsa is Aflore, an online lending platform with a twist. Financial exclusion is a big issue not only in Colombia, but all over Latin America but as we have seen in Brazil, it is also a source of great opportunities. According to the Financial Inclusion Data, published by the World Bank in 2014, only 51% of adults in Latin America and the Caribbean had a bank account and only 14% had formal savings. In Colombia specifically, the numbers are below even the regional average. Fewer than half of the adult population had a bank account (39%) and only 12% formal savings. To attract the population that is out of the traditional banking system, Aflore relies heavily on what they call informal advisors, or IAs. “By observing in depth how informal financial systems operate - basically loans between friends and family - we understood that there are some people with a specific role, that are already financially ‘advising' their peers. They are important because they are considered role models in their communities, so they have their trust. Additionally, they have very valuable information about the credit behaviour of their peers,” Jímenez explains. Once identified, the IAs receive tutoring from Aflore. But it is not only a question of trust. The informal advisors are also equipped with a tablet or smartphone. Another startup supported by one of the country’s government schemes is Club de Trading, an online platform for financial education. “Everybody in a moment of their lives want to invest their money [but] according to some sad statistics, 90% of these people lose their money in financial markets because of a lack of knowledge,” writes Marcelo Granada, Club de Trading CEO in an email. Granada says one of the best things in creating a startup in Colombia is that the country is still “a virgin market”. “The concept of startup is not really known by everybody and that means great opportunities,” he adds. 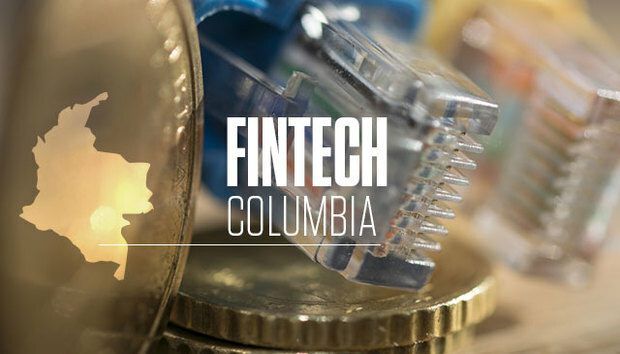 Aflore’s Jímenez also takes a positive view of Colombia, particularly with regard to fintech.